Note: An encore screening of The Scala has just been added to the Salaya International Documentary Film Festival. It's at noon on Sunday, April 3, at the Bangkok Art and Culture Center. "What if we're still doing this when we're 50?" That exchange from young downwardly mobile tech professionals in the movie Office Space came to mind as I watched The Scala last weekend, the opening film of the Salaya International Documentary Film Festival. A documentary by Thai filmmaker Aditya Assarat, The Scala is an intimate and mournful portrait of Bangkok's last operating single-screen movie palace. To put a relatable human face on the grand old lady of Siam Square, Aditya chose four theatre employees, all of whom have been working at the Scala since it opened in 1970. Like those Office Space characters, they probably never imagined they'd still be there more than 40 years later doing the same job. The Caretaker – From vacuuming the carpets to totalling up the day's receipts, the Caretaker does it all. A thin man in a crisp white button-down shirt, he's generally the guy who rips your ticket as you enter. He also washes the linen headrest covers, by hand. Remember that next time you think about wiping your popcorn-grease hands there, you slob. And the Caretaker is never very far away. He's always watching. After two marriages, he now resides with his true love, the Scala, and stays in an apartment on the cinema's roof. The Manager – Phuangthong Siriwan was put to work in her uncle's theatre when she was a young woman. Now with a bobbed mop of grey hair, she still carries a youthful gleam in her eyes, a bright spark to let folks know someone's there. She frets over the chipped marble in the Scala's signature curving double staircase, which has become worn under the billions of feet that have made their ascent to movie heaven. The Technician – The lights in the marquee. He keeps them lit. The sound in the speakers. He makes sure it's heard clearly. He's the guy behind the guy who ensures the Scala is running smoothly. He's also responsible for keeping the Scala's sister cinema the Lido spruced up. Take note of the new lights on the sign as you pass by next time. The Projectionist – Showing movies off a hard drive or satellite network just isn't as much fun as spooling up films for the projector, says the Projectionist, a thin, shaven-headed man who has weathered the recent changes in movie-going technology. He has to make a couple trips back and forth from his spiffy new digital system to the office to get a password to show the film. You will know his pain. Another resident of the Scala, with his own designated sleeping corner, he takes solace in his early morning bicycle rides around Siam Square. A highlight of The Scala is the cleaning of the five-tier chandelier, a laborious process that requires all hands on deck. You won't believe how they do it, and it's something you have to see to believe. 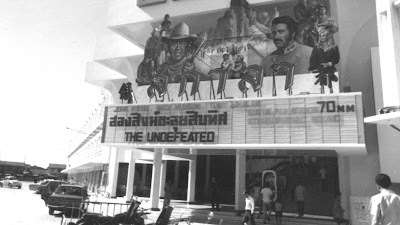 Running a concise 50 minutes, The Scala overviews the history of the place, which opened in 1970 with the 70-millimetre John Wayne western The Undefeated. It joined a trio of similarly grand Siam Square movie palaces operated by Pisit Tansacha and his Apex group, the Siam, which mysteriously burned in the 2010 anti-government protests, and the Lido, which caught fire in 1991 and was converted to the three-screen multiplex we know today. Back when the Scala opened, movie-going was something special, and all 1,000 seats in the theatre were filled with patrons, who had dressed in their finest for the evening out. Over the years, the number of seats has shrunk to around 700, with most of the seats taken out to accommodate a large stage that's used for concerts, talk shows and special events, which help supplement the Scala's dribs and drabs of income from movies. Anywhere else, the Scala probably would have closed ages ago, but with the Tansacha family earning its bones from the Nong Nooch Gardens tourist attraction in Pattaya, the Scala and Lido remain in business out of sheer devotion to the theatres themselves and the loyal staff. But there's a sinking feeling among the staff, as well as the filmmaker, that the Scala's days are numbered. After all, movie can be watched on phone screens, or at fancy mall multiplexes, all over the country. Siam Square landlord Chulalongkorn University has indicated it is keen on tearing down the old cinemas in order to build more shopping malls, though currently there's an agreement in place to keep Lido and Scala running through 2018. Part of the Power of Asian Cinema documentary series commissioned for last year's Busan International Film Festival by KBS Busan television, The Scala is an enduring portrait of an endangered landmark. 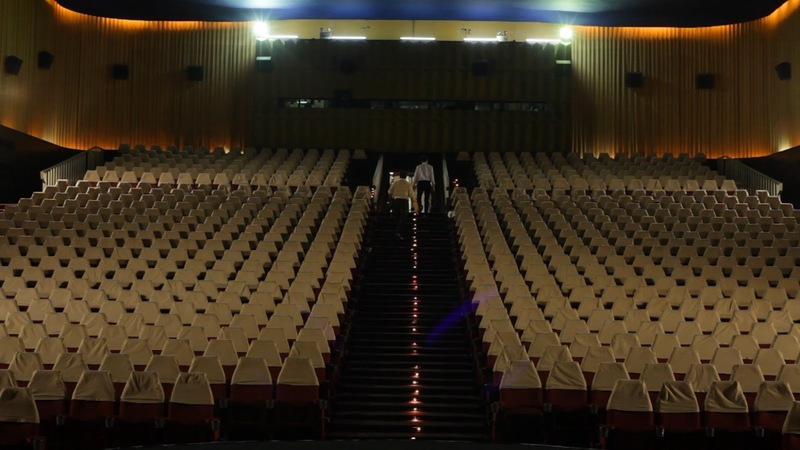 Following the one-off screening at Salaya Doc, Aditya says he's sold The Scala to TrueVisions' Thai movie channel, so keep an eye out for it there later in the year. He also reckons he'll one day screen The Scala at the Scala. "My real hope is that one day, if the Scala does indeed close, I would hope they can show this at the farewell party," he says.